Would you offer up some of your influences – poetic and otherwise. What draws you to that work? Well, I’d have to start with the Romantic Poets (Shelley, Keats, Blake) and William Wordsworth, whose lines “To me, the meanest flower that blows/Can give thoughts that do often lie too deep for tears” are engraved in my mind. Then there’s Walt Whitman (the music of his lines! ), Emily Dickinson (nutshells bursting with meaning), Rilke (“Again and again, even though we know love’s landscape”…), Rumi (words that dance with beauty, love and ecstasy) and a host of others. More currently, Jane Hirshfield for her image windows and language depth, Billy Collins for his ease of expression and accessibility, George Bilgere for his wry humour, Stephen Dunn for the contemplative mind journeys he takes me on, Tony Hoagland for his wit and great intellect in both poems and essays, Mary Oliver for her simple praise of the natural world, David Whyte for poems that immerse me in the soul’s callings. There are many more – I’m a wide reader and everything I read exerts its influence – but these are the ones that immediately come to mind. I am drawn to work that praises both the extraordinary and ordinary aspects of a life, to the grounded ecstatics, to poems so deep they are bottomless – that reward over and over and feed a hungry mind, questing heart. I’m also drawn to haiku for its succinctness. And to art, especially paintings: I’ve written a sequence of 17 poems based on one artist’s “Time” sequence of 17 abstract paintings, which resulted in the two of us finally meeting face to face and me being able to see those paintings firsthand. I guess that makes me an ekphrastic poet! Because of the brevity of life, it’s precious to me. So, the themes of time and death and why are we here, what does it all mean. Readers will find praise, love, ecstasy, humour, irony, an articulation of ideas and ponderings, joy and innate spirituality in my work. I’ll work a theme from every angle over the course of many poems – which I hope I’ve done successfully with this chapbook. You’re unlikely to find swearing or really long poems (yet) or long wordy narratives. I like compression. I try to present different facets of a subject in a poem rather than take a specific stand for or against something. Although I initially worked toward a resolution in my poems, now you’ll find less of that, more of a door for the reader to go through and take what s/he will. 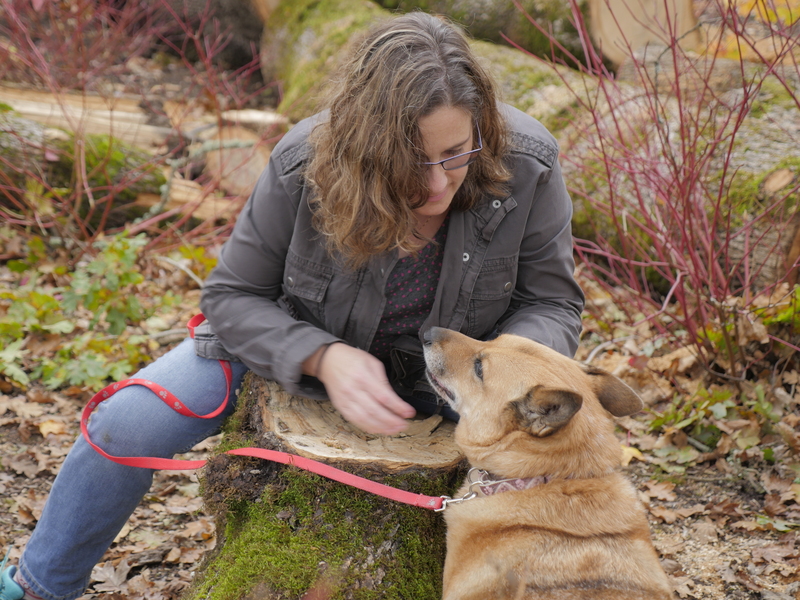 Animals and nature abound in my writing. The “aum” of life too. I have so many folders jammed with notes on odd pieces of paper, and little memo pads in every bathroom of the house! Any phrase that comes to mind or overheard and of interest, any incident read or seen that grabs me or gives me pause or makes me think – all get jotted down for later development. An observed image can tunnel through me to unexpected places. Occasionally I’ll use a random group of words and this will result in some of my best poems. Most of the time I start with a memory or something seen or read that I want to make sense of or settle emotionally. I sit at my desk some portion of every day (and thankfully have a large den with a door) but the real writing happens either first thing (before checking emails etc.) or mid-late afternoon. I LOVE this time of day, after I’ve meditated, and can write freshly or look with more objective eyes at something already begun. When I begin a poem, it lives with me – usually for days and weeks – until it amasses enough energy and coherence to be considered a poem and at that point I’ll type it on the computer, print it and then also put a handwritten copy into a binder. Every poem I’ve ever written, and every revision, they’re all dated, signed and noted in these binders. Anyway, this fledgling poem that finally got printed will have had a rocky start and almost always reach a point where it’s not working, I can’t find a satisfactory end or smooth transition between stanzas or the tone or point of view aren’t right and I get stuck – for days. It’s a part of my process I’m familiar and increasingly comfortable with. I’ll go for a walk or iron and the physical motion does some magic. As uncomfortable as this part is, it ALWAYS resolves itself if I just surrender to what wants to be said, not what I think wants to be said. Often I’ll end up with an opposite point of view as a result. The completion of the poem after this tipping point happens quickly: I get an image of sewing, a tactile sensation of words being stitched together, that is strong and stretchy and hole-proof. This doesn’t mean my opinion of the poem doesn’t change over ensuing days/months/years – it certainly does and most of my poems are revised. However, the core energy of the poem – hopefully – stays intact (I believe poems are energetic structures). I’ve learned to always sleep on my “latest, greatest” drafts (what was I thinking?) which turn out to be in the new day’s light – if not “it” then a necessary step to get there. On occasion I’ve written to music (always instrumental) and found it quite freeing! Usually though I work in quiet solitude. Now that I have a much larger den with a fabulous sound system I think I’ll experiment more with that. Only three!!! This moment it’s Stephen Dunn, Jane Hirshfield and Dorianne Laux. Ask me again and my answer might be different (isn’t it wonderful to have a Poet Bank to draw from?). An admirable animal would be my totem, the black panther: about ten years ago I dreamed one picked me up in its mouth and half-carried half-dragged me to a path I was supposed to be on, before letting me go, mission accomplished. Shortly after, I was in Mexico and a beach vendor walked by, hawking, among other stone sculptures, a foot long black panther. Yes! Of course I ran after him and this big boy has stalked a corner of my desk ever since. If it’s first thing in the morning, my go-to beverage is a strong cup of coffee but later in the day some coconut water does the trick! 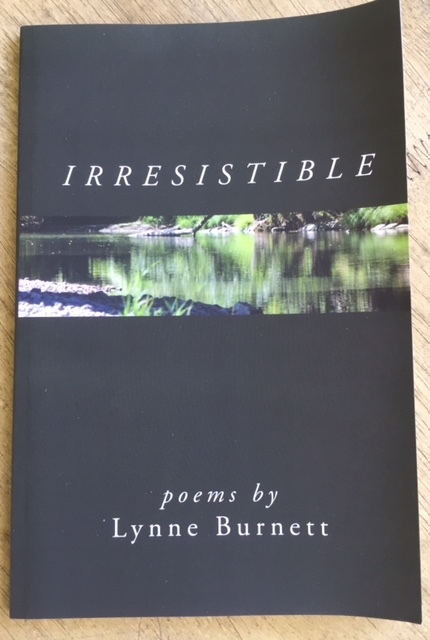 Visit Lynne’s blog to read a sample of her poetry, after which you’ll likely feel an irresistible urge to purchase Irresistible, now available through Amazon.com and Finishing Line Press. 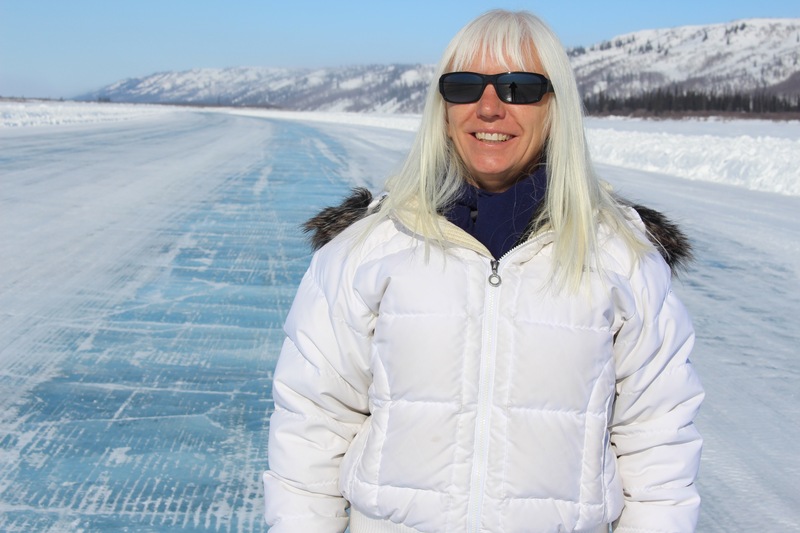 Lynne Burnett on the old Ice Road (Mackenzie River) between Inuvik and Tuktoyaktuk (inside the Arctic Circle). Your chapbook, Irresistible, has recently been published. Can you tell us something about it? 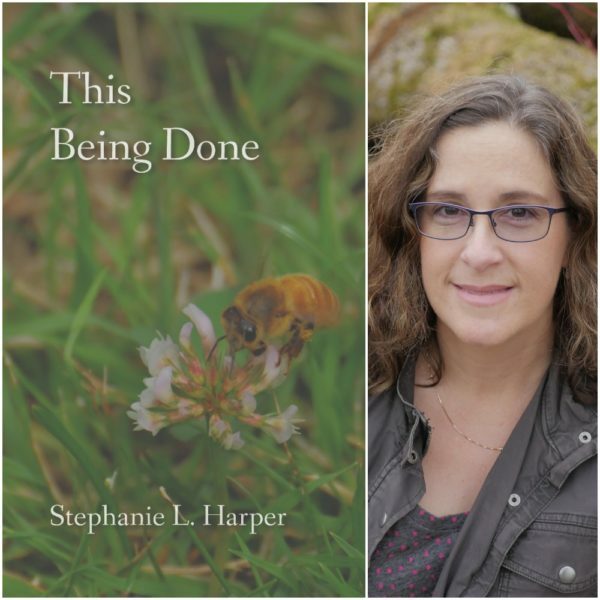 The poems in this book have transitions in common – from death and dying, whether accidental or planned, to milestones such as a son leaving home etc. There’s love palpably felt after death and beyond it, little epiphanies from near-disasters, the whole subject of death from many different angles – the news that breaks us, how our lives are enlarged by telling moments. The title poem “Irresistible” and “Tandem Hang-Gliding Incident” seemed to embody our human failings and the unnecessary accidental deaths we suffer as a result. But also, physically, death is inevitable and therefore irresistible – we can’t resist it. It will happen sooner or later: our first breath inspires our last, so to speak, and our last – for those believing there’s more beyond our bodies – inspires our first on a different plane. Physically our time here on Earth is limited and I think this awareness allows an appreciation for the preciousness of life in all its forms (my chapbook includes animal journeys as well as human ones). I seem to be fascinated with this subject as it creeps into a lot of my poems! I was born in London, England, emigrated to Toronto, Canada at age 4, left home at 18. There followed 3 out of an expected 4 years of university (and poems published there) mixed in with travel to Scotland, Wales and England (my hippy years – this was the early 70’s), before returning to Toronto to work for 2 years and then coming west to Vancouver, where I’ve lived 40 years now. Although I’m not politically oriented in my poetry, I’ve always had a vision of what’s possible for this beautiful world we find ourselves in. As a result, I took myself to Findhorn, Scotland for awhile back then, took the Erhardt Seminar Training (EST) in London and was generally quite involved with the human potential movement of that time. In 1975 I began Transcendental Meditation and have been a regular meditator since, which I think has been helpful to my writing (and sanity!). Anyway, after venturing west to Vancouver, I met my husband and voila – here we are 38 years later! I became an instant step-mom to 2 wonderful kids then but having my own took another 8 years, so the older ones were leaving high school when Stewart was born (he did the author and cover photos for my book) – so it was like raising 2 families back to back and as a result, with the intensity of those 2 experiences, writing got put on the back burner until my son was 10 and I could take time for myself again. I was happy about this and do not regret that 20 year gap in writing – in fact I learned that “one hand shakes the other” so to speak and when the time is right, everything you thought you’d lost or forgotten floods the page again and even better – has matured with time. Anyway, aside from third year university courses on the Romantic Poets in the early 70’s, all my learning about craft etc. has come from my own wide reading and study: I’m self-taught. Though I feel like I was born poetically inclined, I remember writing down my first poem at age 9. It was a rhymed poem of many verses, about the path to God/light/worlds unknown, probably influenced by the fact we lived next door to the minister, played with his children, saw him every Sunday. Poetry has always been a way to express deep emotion that was otherwise inexpressible, a way to articulate thoughts and feelings I struggle to voice. We moved every year/year and a half in and around Toronto so I was always changing schools, making new friends. Being shy, quiet and introverted, books, paper and pen were my confidants. As the oldest child of divorced parents, I wanted to be “good” and do good as a person. But on the page I could be dangerous, unpredictable, angry or ecstatic; I could question things. And did. 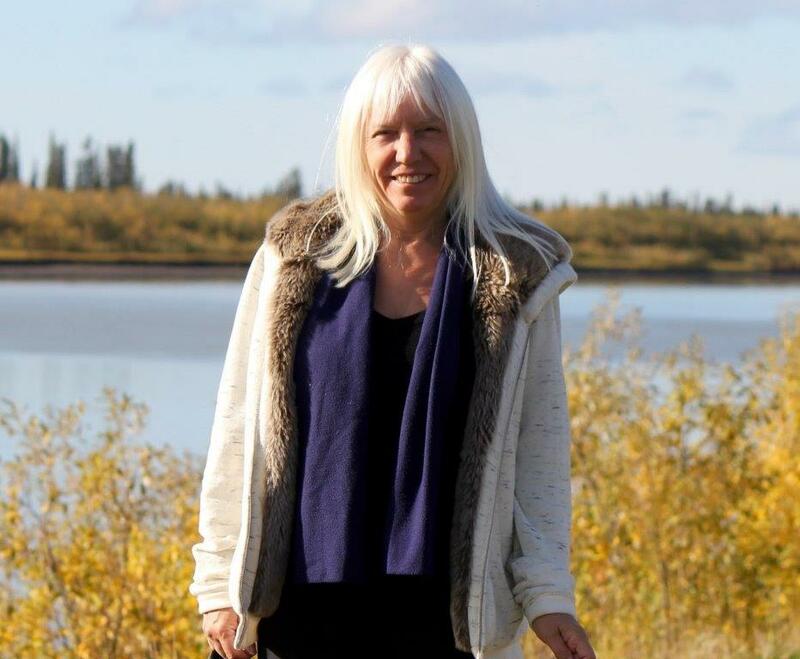 I wrote steadily until my mid-twenties and published here and there – sometimes in university journals, once in Chatelaine (which paid me $50 for a 9 line poem back in 1971 – imagine!). But once I married, fewer poems got written than nightly dreams and those that did were filed away for 20 years before I began sending them out into the world. I think those years of apparent non-activity were a fertile darkness and everything experienced during that time got written into my body and soul. All to say writing poetry involves living a life – everything contributes and is necessary. What is the relationship of your environment, your daily surroundings, to your writing? Important! Especially nature – I grew up when you could walk to the end of your street at the age of 8 or 9, roam the fields there all day, only returning for supper – before strip malls replaced them. This is where I discovered I had a natural leaning to meditation, because I’d lie on the grass or sit against a tree and disappear into the silence, often emerging with phrases, images to write about. I have more than one big window in my den so I can sit at my desk and write, looking outside. If ever I’m stuck in a poem, going for a walk quickly loosens things up (I walk every day). That or ironing! The physical motion seems to freshen the creative process. We boat in the summer for several weeks and as much as possible anchor out in very remote bays – no cellphone/internet/newspapers/tv!!! That immersion in wild nature and largely living from the sea (catching prawns, crabs, salmon, cod) is extremely nourishing to me. Many poems are later drawn from that experience. Hmmm, I think I’d be a haiku because it’s so succinct. I love things in a nutshell! However, I’m also partial to the sonnet, with its twist and turns. We’ll continue Part 2 of this Q&A in a few days, but in the meantime, you might visit Lynne’s blog to read a sample of her poetry, after which you’ll likely feel an irresistible urge to purchase Irresistible, which is available through Amazon.com and Finishing Line Press. You have a chapbook, This Being Done, coming out soon. Can you tell us something about it? From where did the title come? Yes, I’m thrilled that this debut of my work in book form is making its way into the world. The title, This Being Done, is an excerpt from my poem, “An Elegy for Birds & Bees,” which, the more I think about it, the more I believe is the crux of the collection. The poem came to me when I was profoundly depressed and drifting—feeling as if my childbearing days being behind me was somehow synonymous with not having (and not deserving to have) an identity or purpose for my own sake. The poem’s opening lines, “over & over in habitual drone /i repeat a phrase in my mind that no one knows i say / because i have not told / i am saying i’m done,” are at once a funeral dirge, and a spiritual awakening; with the aggrieved instance of awareness that the “being done” is my effective death, comes the terrifying sense that “thisbeing done” could be the only segue through which I might return to some kind of viable life. What ensues is a deliberate and laborious taking up (again) of the direction I’ve always been going in, because the alternative to doing so is simply not tenable; and I’m grateful to say that it’s the way I’m headed still. So, what I hope the book as a whole will offer readers, is something to hold onto in the way of resonance, or solidarity, to bolster them for their respective journeys. Would you offer up some of your influences – poetic and otherwise? What draws you to that work? Husband (never surprised, always a bit concerned): Dangerous Liaisons?!!?? Well, now that my expertly executed stall tactic has bought me a semblance of clarity, I feel compelled, first off, to mention Carl Jung’s Man and His Symbols and Clarissa Pinkola Estés’ (also a Jungian psychologist) amazing work on the female psyche, Women Who Run With the Wolves. Other “poetic and otherwise” influences that are making their way to the conscious fore, in no particular order, are Siddhartha Mukherjee’s The Emperor of All Maladies; Rosemary Radford Ruether’s Sexism and God-Talk; Henri Nouwen’s The Wounded Healer and Our Greatest Gift; Shakespeare’s Hamlet; Ursula LeGuin’s Earthsea series; Oliver Sacks’s Musicophilia; Douglas Adams’ Hitchhiker’s Guide to the Galaxy; Kahlil Gibran’s The Prophet; John Keats’s everything; Paul Celan’s Death Fugue; Martin Heidegger’s Being and Time and Letter on Humanism; Samuel Taylor Coleridge’s Kubla Kahn; Edgar Allan Poe’s The Raven; Elizabeth Barret Browning’s How Do I Love Thee…; and Dr. Seuss’s Horton Hatches the Egg. I generally admire literature that is meticulously crafted, with strong musicality, exquisite observations about the human condition, and/or wry humor; but what the works that have had the deepest impact on me all have in common, is something I experience more viscerally, as a singular degree of earnestness, or a rarity of insight that can only be described as one thing: genius. I started writing poems in college and have been been playing with language ever since. To support my family, for many years I taught writing and literature at UT Brownsville and held several administrative positions. Now I am writing full time. Which three words best describe your poetry? 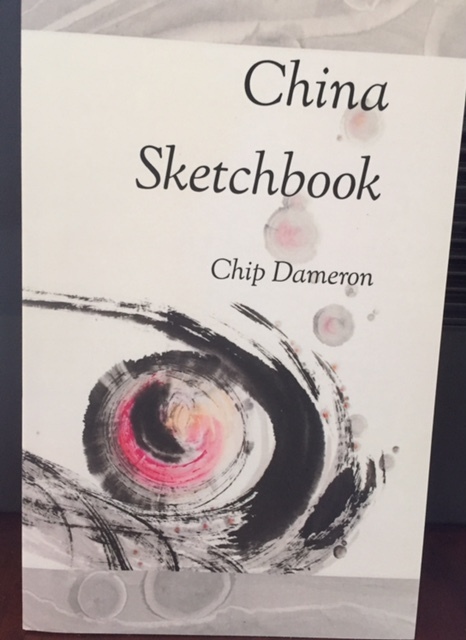 Tell us about China Sketchbook. What was its genesis? A few years ago my wife and I took a month-long trip across China, which was a stunning experience. I’ve long admired Chinese poetry and knew a little Chinese history, so to observe how China is transforming itself and to meet many of its people made for an unforgettable journey. I began drafting poems along the way, and I continued after returning home. China Sketchbook contains 27 poems, and Virtual Artists Collective was kind enough to publish it under its Purple Flag imprint in December 2016. I’m sure you’re frequently asked this question, but I can’t resist: What carries you from the blank page to a poem? What is your process? Usually I sit down to explore something I’ve seen or heard or experienced or thought about. What images can I find to get the poem started? Where do they want or need to go? Which words support the movement of the poem and give it the energy it needs to become a language-object that others might enjoy experiencing? Through this process I hope to create poems that are authentic and original. A few months ago you published At Paisano Ranch, a micro-chapbook, with Origami Poems Project. What can you tell us about this book? In September 2016, I began a four-month stay as writer-in-residence at Paisano Ranch in Austin, once owned by the legendary Texas writer J. Frank Dobie. You and I met at the ranch several times and talked about poetry, and I was intrigued by the charming micro-chapbook that you had published through Origami Poems Project called You Break What Falls. So I took six poems I had written about my experiences at the ranch and sent them off to OPP, and the editors accepted the micro-manuscript and published At Paisano Ranch in early December. I encourage poets and readers to visit the website, https://origamipoems.com, and download for free any of the micro-chapbooks that interest them. Poets may also wish to submit their own micro-manuscripts of six short poems. What advice do you have for new poets? Don’t be in a great rush to publish your work. Work at the craft of creating your poems, read your drafts out loud, and don’t be afraid to tinker with your poems, and even make extensive changes. You are engaging in the process of finding your distinctive voice, your distinctive style. When you’ve found that voice and style, you are ready to go public. And when you experience rejection, as all poets do, keep submitting your poems, and keep writing new ones. Which artists inspire you? Whose work do you read, listen to, gape at, admire, envy? I’ve long admired the great American poets of the past, including Whitman, Dickinson, Frost, and Stevens. 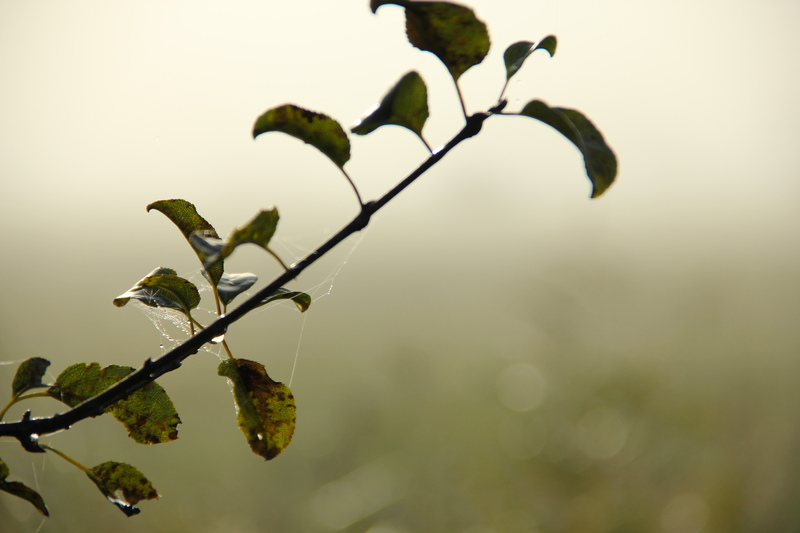 More recent sources of inspiration include Seamus Heaney, Naomi Shihab Nye, and Billy Collins. And even through translation, which can’t do full justice to the original language, I’ve been amazed at the power of the classical Chinese poets, such as Li Bai, Du Fu, and Tao Qian. What are you working on now, what’s in the pipeline, and what can we look forward to in the coming months? I’ve recently completed a collection of poems called Mornings with Dobie’s Ghost, which is scheduled for publication in 2018 by Wings Press. I wrote the 35 poems while living and working at Paisano Ranch. And I’m in the middle of drafting a novel—my first—which has been a most challenging but stimulating experience. 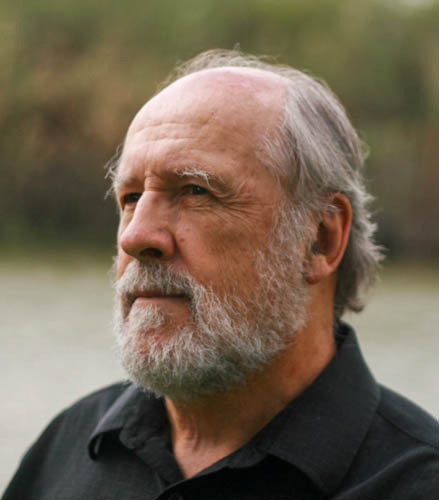 Bio: Chip Dameron is the author of nine collections of poetry and a travel book. His poems and essays on contemporary writers have appeared in the Mississippi Review, Southwestern American Literature, San Pedro River Review, Puerto del Sol, Hayden’s Ferry Review, New Orleans Review, Borderlands, and many other journals and anthologies, as well as publications in Canada, Ireland, Nigeria, India, China, Thailand, and New Zealand.